Robot, S.A. bases part of its international expansion strategy on a local Partners Programme, which will help the ROBOTBAS brand penetrate new potential markets. These local Partners, as they are already well entrenched in their respective markets, allow for greater proximity to customers, not only in terms of communication, but also the installation, supervision and maintenance of the building control systems. 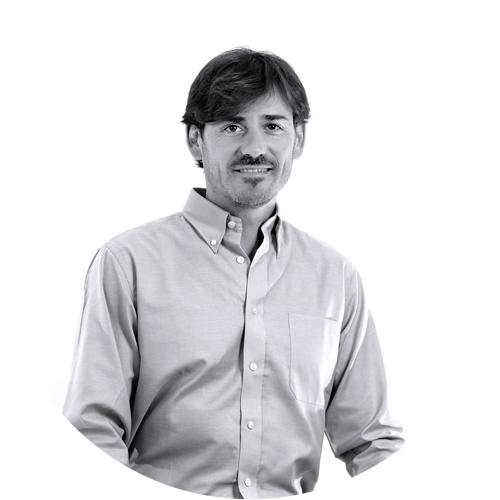 ROBOTBAS will provide Partners with training and support, both in technical and sales aspects, and will develop, manufacture and supply all the materials necessary for each project. On the other hand, the Partner will market and distribute installation control systems to customers, as well as provide installation, maintenance and technical support services. Partner: this Partner will receive training on ROBOTBAS products and a predefined area of action, without a set collaboration period. Partner Plus: with a one-year collaboration agreement, a Partner Plus will enjoy all the advantages of being a Partner, aside from getting corporate sales materials and making use of the brand’s image. 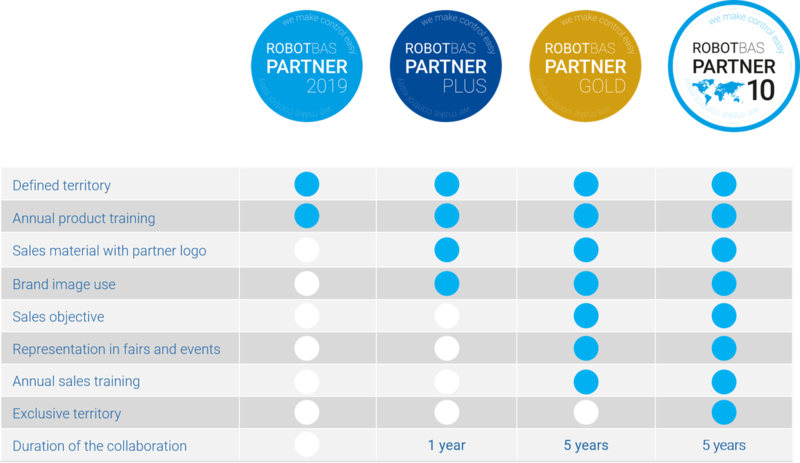 Partner Gold: aside from all the benefits of a Partner Plus, a Partner Gold will have sales targets, the chance to represent ROBOTBAS at trade fairs and events and annual sales training, during an initial five-year collaboration period. Partner 10: is the most comprehensive Partner level. Aside from including everything that comes with being a Partner Gold, a Partner 10 enjoys the advantage of having territorial exclusivity. Distributors of supplementary products for the hotel sector. Installers or Integrating Companies that market the systems in their customers’ projects. Engineering companies or firms in charge of carrying out installations for new build or refurbishment projects. Ability to import products, which entails obtaining the requisite customs clearance. For the higher levels of collaboration, they must have a strong marketing and sales team capable or reaching out to the owners and advocates of projects. Professional technical team that, after receiving training from ROBOTBAS, is able to offer customers commissioning and maintenance services that meet the standards set by ROBOTBAS. ROBOTBAS currently has Partners in Russia, Mexico, the Middle East, Morocco and South Africa.